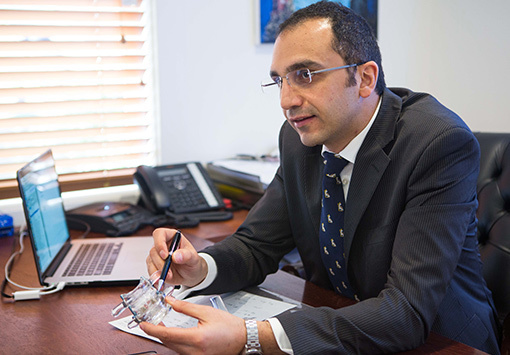 Dr Sergides trained as a Neurosurgeon initially in Cambridge, England. He was appointed to the London training scheme and rotated through Kings College, Atkinson Morley’s and Hurstwood Park hospitals. One year of his UK training was spent as a Fellow at the Royal North Shore Hospital in Sydney. Following completion of his UK training and admission to the Royal College of Surgeons of England, he returned to Australia for advanced, specialised training in spinal surgery. He has also completed the Australasian specialist exam for Neurosurgery and has been admitted to the Royal Australasian College of Surgeons. He has co-authored over 16 scientific papers, mostly on Neurosurgery. He is actively involved in research and teaching. He teaches medical students from the Univeristy of Sydney and advanced Neurosurgical trainees at the Royal North Shore Hospital. 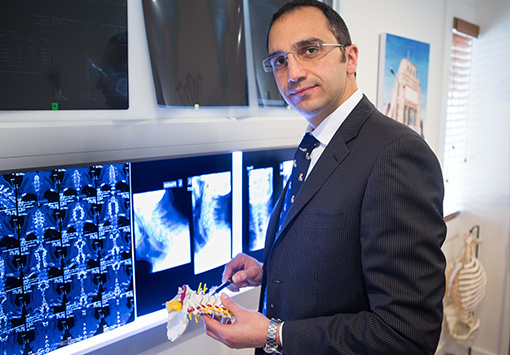 Dr Sergides co-runs a fellowship programme in Spinal research and complex spine surgery. This is a cross-campus fellowship based at Royal North Shore Hospital’s spinal unit, North Shore Private hospital and the SAN.